August 25, 2017 — More than 1,000 people packed into Marshfield’s Furnace Brook Middle School Thursday night for a town hall meeting hosted by U.S. Senator Elizabeth Warren, D-MA. Residents asked Warren about issues ranging from flood insurance and healthcare to fishing regulations and the national political climate. Warren was joined on state by 9th District U.S. Rep. William Keating, D-Bourne. “I really want to hear what she has to say about the current administration and hear what she is going to talk about as far as what we can do to make sure that we are back in the White House in 2020,” Jennifer Mills, of Marshfield, said before the event. Mills took her daughter Shelby, 15, who wanted to ask the senator what the youth of America can do to make a difference. John Haviland, vice president of the Massachusetts Fisherman’s Partnership, of Marshfield, asked Warren for support on a number of fishing related issues, including controlling the amount of seafood that is imported to the United States and research into the health of the fishing stock. May 16, 2017 — Farming salmon is more sustainable than growing land animals in several key ways, according to the Global Salmon Initiative’s (GSI) latest sustainability report. And some of the biggest future improvements in sustainability will likely result from more efficient feed, say salmon industry experts. The third annual GSI sustainability report, released in late April, contains four years of data and tracks 14 indicators determined by the Aquaculture Stewardship Council (ASC). It was the first to include data verified by independent auditors. The 12 GSI member companies account for roughly half of global farmed salmon production. 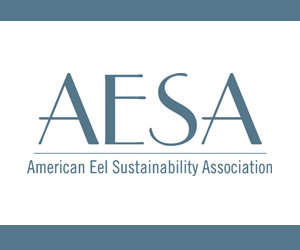 Nearly a quarter of all GSI farms have been certified by the Aquaculture Stewardship Council, an increase of 60 percent from 2015. GSI has a goal of having all farms certified by ASC by 2020. Compared to other sources of animal protein, salmon did well on sustainability indicators such as fresh water use and carbon emissions. Salmon also have a low – and falling – feed conversion ratio, meaning that farmers efficiently retain the protein and energy in feed while converting it to food for people. That ratio is now 1.3 to 1. By contrast, the ratio for chicken is 1.9 to 1, while for pork it’s 2.8 to 1, and for beef it’s 7.5 to 1. Still, less total weight of salmon is farmed than other major protein sources, with 3.1 million metric tons produced annually, compared to 96.1 million tons of chicken, 113 million tons of pig products, 64 million tons of cattle products and 8.6 million tons of sheep products. 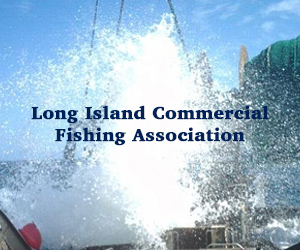 U.S. commercial and recreational fishing generated $208 billion in sales, contributed $97 billion to the gross domestic product, and supported 1.6 million full- and part-time jobs in 2015–above the five-year average, according to NOAA’s Fisheries Economics of the United States report released today. The U.S commercial fishing and seafood industry (including imports) generated $144 billion in sales in 2015, a 6% decline from the previous year, and supported 1.2 million jobs, a 15% decline from 2014, although this is still above the five-year average. Factors such as the “warm blob,” marine toxins, and El Nino affected the Pacific marine environment in 2015, and West Coast fishermen saw lower landings and revenue for several key commercial species. Market forces affected fisheries in other regions, such as in the Gulf of Mexico, where revenue for shrimp landings decreased due to high inventories, dampening prices for both domestic harvest and imports. Seafood imports were also lower in 2015–$1.4 billion less than in 2014. In 2016, U.S. fisheries continued to rebuild, with the number of stocks on the overfishing and overfished lists remaining near all-time lows. Four stocks came off the overfishing list, while six stocks were added to the overfishing list. There were no changes to the list of overfished stocks in 2016. 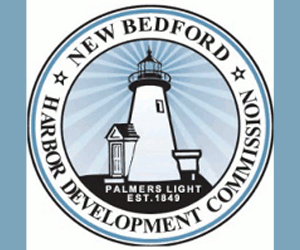 Two additional stocks–barndoor skate in Georges Bank/Southern New England and albacore in the North Atlantic–were rebuilt in 2016, bringing the total stocks rebuilt since 2000 to 41. April 25, 2017 — Fishing effort in most tuna fisheries has grown steadily in recent years, a trend that has been largely led by the constantly increasing purse-seine harvest. At the same time, these stocks remain in a healthy state and are much less overfished than many other coastal resources, delegates heard at the sixth European Tuna Conference in Brussels, Belgium. Speaking at the biennial forum, held on the eve of the 2017 Seafood Expo Global, Alain Fonteneau, a renowned tuna fisheries scientist from the French Research Institute for Development (IRD), confirmed that the total global tuna catch has grown to a level of around five million metric tons (MT), with skipjack accounting for around 66 percent the total. Fonteneau highlighted that the purse-seine fleets’ heightened productivity – averaging 2.5 percent annually over the last two decades – was chiefly responsible for this growth and that their improved efficiency was directly due to the increased number of fish aggregating devices (FADs) deployed in recent years. Over the last 10 years, FADs have been responsible for approximately 50 percent of the total purse-seine catch, including 53 percent of the skipjack that has been caught during this period. “If we were to lose all of the FAD fisheries tomorrow, we would lose most of the skipjack catch,” he said. While the amount of skipjack caught in most fisheries has continued to increase – a trend that Fonteneau said is indicative of healthy stocks – most of which are still not yet exploited to their maximum sustainable yield (MSY), including the 2 million MT currently coming from the Western Pacific. He is, nevertheless, pessimistic about the Indian Ocean’s stock, despite it currently being in “good shape,” as his “personal feeling” is that the next stock assessment, expected in October, will suggest its over-exploitation. 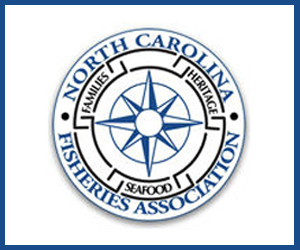 In response to Secretary Ross’ early interest in working with U.S. fisheries, the National Coalition for Fishing Communities (NCFC) organized a letter of support for the Secretary’s goals. 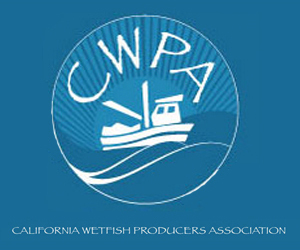 The letter was signed by over 350 members of the fishing industry from across the country. The NCFC would like to thank Commerce Secretary Ross for pledging to support the nation’s fishing communities. 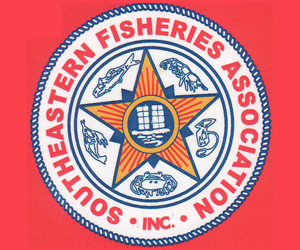 As members of our nation’s fishing communities, we want to express our gratitude for making the attainment of maximum sustainable yield in our fisheries a priority for the Commerce Department. 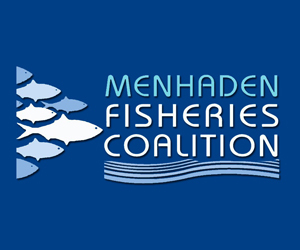 We are also most appreciative of your publicly stated goal to increase domestic seafood production, which is a priority of Saving Seafood’s National Coalition for Fishing Communities. It is most encouraging that we have a Secretary of Commerce who understands the importance of sustainably harvested seafood. As you know, the U.S. fishing industry is a multi-billion dollar industry, and is a vital economic engine for our coastal communities. 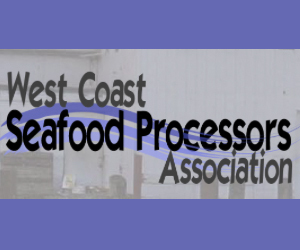 The industry is ready and willing to work with you and your department to achieve the goals you have set forth for American fisheries, and we want to build a successful relationship between the Commerce Department and commercial fishermen. We know it is within our means to sustainably increase harvests and achieve maximum sustainable yield. A vibrant fishing industry will pay dividends not only to the coastal communities, but also to the millions of consumers who rely on the nutritional benefits of domestic sustainable seafood. March 15, 2017 — The Marine Stewardship Council (MSC) has become the first global sustainable seafood certification program to achieve recognition from the Global Sustainable Seafood Initiative (GSSI). The MSC’s blue check eco-label is used to designate wild-caught seafood as sustainable. The MSC, which was founded in 1997 by the World Wildlife Fund and Unilever, lists its main objectives as promoting best practices in fishing, creating market incentives to reward sustainable fishing practices, and providing a framework and pathway for fishery improvement. “Recognition from GSSI reaffirms the rigor and credibility of MSC certification. Anyone committing to purchase MSC certified seafood can be confident that it reflects global best practice in fisheries management,” MSC CEO Rupert Howes said in announcement. February 7, 2017 — Sharks and their relatives face an existential crisis unprecedented in their 420 million years on the planet. A global trade in products from these animals fuels the capture of tens of millions of individuals a year. Strong demand combined with poor fishery regulation and high levels of incidental catch have resulted in many populations being overfished, with some now facing extinction. Many activists argue a total ban on shark fishing is the only solution to slow or halt the decline. But a 2016 study found the majority of shark researchers surveyed believe sustainable shark fisheries are possible and preferable to widespread bans. Many reported they knew of real-world examples of sustainable shark fisheries. But a global roundup of empirical data exploring which species are being fished sustainably was lacking. February 6, 2017 — Global perceptions about shark consumption are about as divided as U.S. politics. In places like Japan, India, Sri Lanka and certain parts of Africa and Mexico, shark meat is relatively inexpensive and a regular part of the diet. In western countries and many other parts of the world, however, eating sharks is discouraged — and sometimes even banned — because many sharks are threatened with extinction. It may then come as a surprise that two of the world’s leading shark conservationist groups have just determined that 39 populations representing 33 species of sharks, as well as their relatives — rays and chimaera — meet the criteria for sustainable fishing. January 30, 2017 — Chef Benjamin Hasty, owner of Thistle Pig in South Berwick, was having a beer with a co-worker at 7th Settlement, a brewpub in Dover, New Hampshire, when he saw Tim Rider walk by, carrying fresh fish to the pub’s kitchen. Hasty invited Rider, owner of New England Fishmongers, to join him for a cup of coffee. Rider told him he is one of the few New England commercial fishermen who still catches groundfish the old-fashioned way, with a rod and reel; experts believe he is the only one in Maine, and perhaps all of New England, who is doing so full time. April 5, 2016 — In an effort to protect fisheries and preserve one of the planet’s healthiest marine ecosystems, communities in a remote archipelago south of Tahiti are working to establish the largest fully protected marine reserve on the planet. The proposal, which municipalities in the Austral Islands presented to the French Polynesian government on Monday, would ban fishing in more than 385,000 square miles of ocean surrounding the island chain and establish sustainable coastal fishing areas around each of its five inhabited islands. The reserve, if approved, would be roughly the size of California, Nevada and Arizona combined. Jérôme Petit, director of Pew’s Global Ocean Legacy campaign in French Polynesia, told The Huffington Post that the 6,000-plus residents of Rimatara, Rurutu, Tubuai, Raivavae and Rapa are concerned about the environmental damage affecting the world’s fisheries. “They say, ‘We fish now in one day what we could fish 20 years ago in one hour,’” Petit said. The reserve would extend roughly 200 nautical miles around each island, with the exception of the islands’ northern coasts. Sustainable coastal fishing areas extending 20 miles from each island would allow local anglers to fish from boats that are less than 25 feet long, according to the proposal.